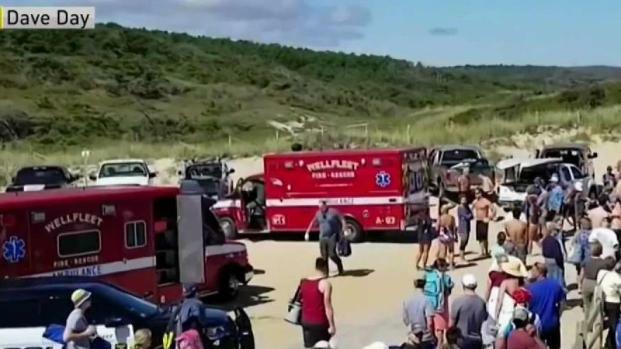 Officials in Wellfleet, Massachusetts, held a public meeting Thursday to discuss the state's first deadly shark attack in more than eight decades. 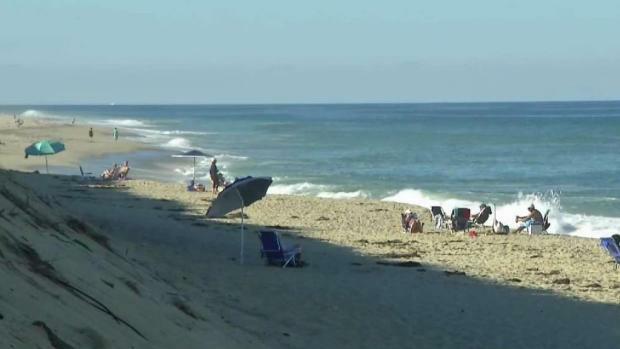 A man boogie boarding earlier this month off a Cape Cod beach died after being attacked by a shark, becoming the state's first shark attack fatality in more than 80 years. Benson and his girlfriend Gail Sluis were among those who tried to help save 26-year-old Arthur Medici's life. 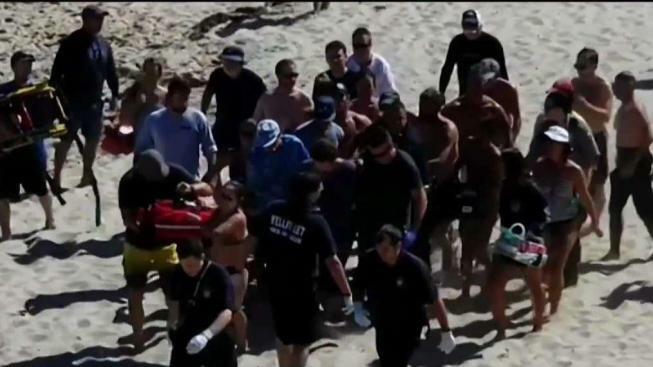 “A man came running up the beach yelling 'shark attack' and we just ran," Sluis recalled. While Sluis called for help, Benson was among those carrying Medici to safety. “I jumped in and grabbed the top of his torso and looking down at it, it was just traumatizing,” Benson said. Medici's death prompted officials and marine life experts to field questions and concerns at a public forum held Thursday evening in Wellfleet. The meeting, held at a local elementary school, was packed full of people voicing their safety concerns and proposing possible solutions. “If we could equip the lifeguards with VHF, UHF radios, you’d get response time to the fire department and police department,” one man said. Potential solutions included taller lifeguard chairs, drones and improving cell service. The rising seal population created a divide in the room on doing what's best for the animals or for people. “This is where these sharks and seals live and we are sort of going into their homes,” another woman contended. Despite the split in the room, most people NBC10 Boston spoke with said they left the meeting feeling optimistic after local officials, shark experts and even seal experts took the time to listen and hear their concerns.